Street children are an urban phenomenon all over the world. The problem of street children is growing in big cities and towns as a consequence of the growth in size and complexities of cities. The processes of urbanisation, rural-urban migration, globalisation and family disintegration have caused many social problems including the problem of marginalised children. Among the broad category of marginalised children, a group of street children stands out due to their specific characteristics and life style. Street children are extremely vulnerable group because of the way they are forced to live homeless on the streets. They are roofless, rootless and alienated from the society. The place of their abode is the street, railway stations, bridges, beneath fly over, temples and dargahs. They grow up on the margins of the society without love, care, protection and supervision of adults. Street children are deprived of their basic rights of survival, protection, development and participation. Street children have to fend for themselves for their own survival and sometimes for the survival of their family as well. Civic amenities like latrines and bathing facilities are beyond their reach. Malnutrition and hunger is widespread among them. Due to constant exposure to the unhealthy conditions of living on the streets, children suffer from a range of ailments. Owing to the lack of guardian control over their lives children indulge in various addictions like smoking, sniffing glue, and Xerox solutions leaving them debilited. Street children become the victims of the sub-culture of the street: drug abuse, gambling, drinking, vagrancy, thieving and prostitution. They are high-risk group for HIV/AIDS. Street children are subjected to harassment and eviction by the municipal authorities because of their unauthorized occupation of city roads and vacant places. Street children are also harassed by the city police and railway authorities. Many are arrested for minor infringements. They are victims of physical and sexual abuse. Lack of an access to basic services of shelter, health care, education and training, lack or alternative livelihood options, lack of societal acceptance and legal status (for want of ration cards) are the major issues of street children. The problem of street children is multifaceted and needs to be understood in proper perspective. Professional social work intervention strategies are necessary to address their needs and problems. Studies on street children in several cities in India highlight the magnitude of this problem. In the city of Mumbai alone there are 2 lakh children on the street. They are mainly boys in the formative group of 10 to 15 years and most of them are illiterates and school dropouts. 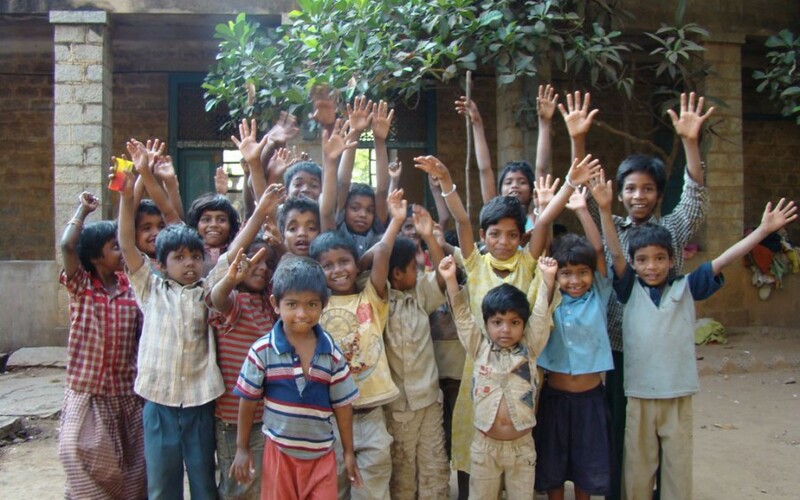 Hamara Foundation was initially established as “Hamara Club” meaning “Our Club” by the Unit for Child and Youth Research in the Tata Institute of Social Sciences (TISS) in July1989 in response to the emerging problem of street children in Mumbai. Later on, this field action project of TISS started functioning independently as NGO since 2002. Reach out to children in selected areas of Mumbai City. Provide need-based services for their growth and development. Create public awareness about the problems and needs of street children. Network with governmental and non-governmental agencies dealing with street children, such as the police, municipal corporations, and Judiciary and welfare agencies working with vulnerable children. The major thrust of the organization is to provide professional social work interventions to this specific target group in child rights perspective. Children below the age of 18 years who live/work on the streets, children of pavement dwellers and homeless children. To ensure that no child should live on the street and that every child has an inherent right to dignity and respect. The organization believes in working towards creating the environment in which every child enjoys rights to survival, development, protection and participation and a happy childhood. To work towards facilitating all round growth, development and empowerment of the street children and catalyse an overall improvement in the quality of their lives. It also aims at engaging in advocacy and taking up issue of street children and their life situation with a larger purpose of creating public awareness and work towards generating sensitivity amongst the masses regarding the growing phenomenon of street children. To empower children on the street, so they can have alternatives for a better quality of life. Major objective includes reaching out to street and homeless children, providing them the need based services for their growth and development.